The ease of global trade and access to international markets have opened up huge scope for export-import business worldwide. While the business is extremely profitable, it’s really important to execute very carefully. One needs to follow the guidelines properly. However, the most difficult part of starting an export import business is to choose the right product/ products. 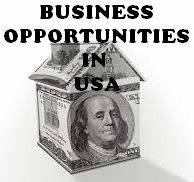 Find here 50 such export import business ideas which are making good profits presently. You should have a vivid understanding of the foreign market and trade. Start by approaching the market on a priority basis. Collect import data must, research and plan. Also, make sure you go through all the specific laws dealing with international trade and foreign business in both countries. How To Choose An Export-Import Business? First, obtain all the necessary import-export data. This will help you to pick a product and understand the matters associated with the foreign trade agreement. You should then use the data to find the market gap and pick up a product or business. Make sure to collect the customs data and information as well. You may also take help of any research firm to prepare a market report. This will help you get deep into the market. How To Plan An Export-Import Business? Be it an export business or important, the strategy is the key. Create a simple, practical and flexible plan for a profitable and sustainable long term business. First, you need to evaluate the competitive position of the market. Secondly, keep a mark of the currency fluctuations and foreign exchange. You need to capitalise on the market demand and foreign exchange to bring in profit. Don’t only aim for profits. You need to improve the economic condition of the country where you are carrying out your business for a sustainable business. You can start to import different machinery and transport to sell them in your country. There are countries like China, Germany, Japan, United States and South Korea who manufactures car parts at a large scale. You can import them, or export if you stay in any of these countries. An export-import business depends on logistics heavily. You can help local exporters and importers to organize their inland logistics. This includes transport operations, processing, warehousing and distribution in an effective way to cut down costs. The most drank beverage in the world after water, tea is preferred almost everywhere around the world. India and China being the biggest exporters of tea, you can import in one of the finest tea in the world to your country. If you are in India or China, you can export it to other countries. To enter a foreign market, you should have a clear understanding of the area and local market. There are specialists who carry our export import market research to analyze some foreign markets. You can choose to import commercially produced silk from Asia. Silk has a huge demand in the European and North American markets. You can import silk products like natural silk yarns, fabrics, made-ups, readymade garments, silk carpets and silk waste. Just like market research, marketing strategies differ from country to country. You can start a marketing agency to offer specialised marketing services for exporters and importers. You can choose to produce readymade garments on a large scale and then export them to other countries. You may also import readymade clothes from countries like Indonesia, Bangladesh, India at cheaper rates. Companies often need an expert to do the inspection of the supplier. You can start an agency to help companies check the quality. You can work both as an inspector and sourcing agent. Though, as an export-import inspector, you will have to focus more on product inspection. There are quality woods available in North America. You can import different kinds of wood or readymade furniture to sell them in your country. You can also choose to export if there’s quality wood production at a large scale. With some experience in export-import business, you can help others to start an export-import venture with your practical experience. You can start a consultancy and help others with your expertise. You can also help running businesses to solve issues and problems they face. The food processing industry has seen massive growth over the last couple of decades. You can choose to produce any of the items to export them to other countries. Processed food items are accepted almost at all countries with minimal taxes. There are multiple businesses which need special custom-warehouses. These are special warehouses where an importer keep their products before the import custom procedures are finished. You can rent out your property for the process. There are different countries who often need special pharmaceutical products. Due to unavailability of chemicals and resources, these countries import such pharmaceuticals. You can start a pharmaceutical products export business by signing up international trade with these countries. Organic products have a huge demand in the global market. You can start to cultivate without the use of chemical fertilizers and pesticides. The organic food export industry is growing rapidly across the market of European Union, US, Canada, Switzerland, Korea, Australia, UK, New Zealand, Southeast Asian countries, Middle East and South Africa. With some knowledge in international trade, you can choose to be a customs expert. You will have to deal with import and export customs, taxation, export, and import regulations and customs procedures. You can also offer services to different businesses for filling complex import or export declarations. The organic chemical market is quite widespread. The sector has a wide range of products with a good demand across Europe, North America and Australia. You can choose to produce an organic chemical for the industrial purpose and export them to these continents. Countries like China, Japan and South Korea produce the best of machinery. You can choose to import machinery to your country to sell them to small businesses. This includes machines and machinery parts. You can also tie up with domestic entrepreneurs to offer them monthly and yearly services. While leather export and import are banned in a number of countries, the business continues to prosper. There are businesses which require leather and hence often import them from other countries. Make sure you first check all the regulations before signing up or entering into a contract. The best way to start an e-commerce store or sell something online is to dropship. While you don’t need to manufacture or store anything, dropshipping offers you to carry out a business online, while the product will be manufactured and delivered by someone else in exchange for a fee. If you own any property near to the sea-ports or railway stations or airports, you can start to rent it out to international companies. Businesses will keep their importing or exporting products at your warehouses. With some knowledge in shipping and logistics, you can start a business around freight forwarding. The business also includes transportation and distribution. You can charge businesses to offer freight forwarding services to exporters and importers. With technology being on the front foot of production and business, IOT is the new lead runner. IOT is now helping businesses to cut downtime, cost and improve operations. China and the US are the largest exporters. You can import IOT for businesses related to transport, wellness, healthcare, buildings, home, factories, agriculture and more. Glass items are a big part of international trade. You can start a business around glassware products. You can either create glass items or export raw materials to makers in other countries. You can import different products in bulk and then sell these online with an added markup. A little different than drop shipping, in online exporting, you order products in bulk and then sell them. See what’s trending, and you can then import those products in bulk and sell online. There are different special essential oils required in multiple value-added products. There are only a handful of countries with these aroma plants. You can export these compounds to extract oil manually, or you can directly order these oils to use or sell them later. Electronic components are produced on a large scale in China. You can either choose to import these items or order them to deliver to other manufacturers. Both consumer items and industrial items require certain electronic components. The business in an import-export industry requires special agents to facilitate the business. The sourcing agent acts as an overseas business development manager. You can offer your services to different businesses by helping them find the right clients. There are businesses and companies who directly import items to sell them in their country. It’s easy, as you just need to pay customs to sell them commercially. You can also produce a few items on a large scale to export the products to other countries. It’s easy to import and resell than production, storage and distribution. You can import directly from countries and markets which produce these items at a cheaper rate. Though, it’s important to choose the right product for importing and reselling in a perfectly competitive market. A widely popular metal, Copper is used for multiple purposes. From machine parts to wiring to electronic items, copper is an essential part of these products. Being a primary raw material for several products, you can choose to import copper to resell it to manufacturers in your country. Coffee is globally one of the most exported beverages. The largest importers are Italy, Russia, Germany, Belgium, Turkey, Slovenia, Jordan, Australia, Greece and Poland. You can choose to produce or acquire coffee to sell them to other countries. There is a wide range of products under biochemicals. There’s a considerable demand for biochemicals in Asian, European and North American markets. You can find out specific markets to sell and export such specific items. There is a considerable demand for agrochemical products in the global market. You can import different agrochemical items in bulk to distribute them to the local and domestic sellers. Computers, parts and other tech products are very popular in almost all the markets around the globe. You can start an exporting business where you can partner which a few direct exporters to sell computer parts and similar hardware in your own country. If you stay at a place where woods are cheap, you can start to export raw wood material to different businesses. There are multiple countries where you can tie up with furniture companies. You can also manufacture furniture and similar products to directly ship them. You can ship out raw paper materials to countries where the paper is very costly. You can also tie up with different businesses in a country to directly export the papers in a bulk. Paper is required in various manufacturing processes. China and South Korea are the largest producers of smartphones and mobile technology products in the world. If you wish to sell your own smartphones in your country, you can export these smartphones and sell them directly under a brand of your own. There are several metals which are only found in specific regions and countries. There are specific metals very popular for manufacturers and other types of businesses around the world. You can choose to import such metals to your country, or export if you are in such a precious metal producing country. You can start software services based on cloud computing. In such a business, you will be able to offer services via a common online software. For support and backup, you can focus on selling those products or services to users in specific countries. Manufacturing and electrical businesses often require specialized engineering products. Only a handful of countries manufacture these specialized engineering goods. You can import these products to sell them in your country. There are only a few countries which manufacture specialized medical equipment. You can tie up with any of these manufacturers to export medical equipment facilities in your country. You can then partner with hospitals and medical centers to supply equipment and support services. You can offer custom broking services to help companies export and import goods with foreign nations. International business is subject to customs restrictions and inspection. You will help sellers and buyers with all the necessary documents and information for international trade. China and South Korea create one of the cheapest and best electrical equipment and parts. You can tie up with any exporting company to export electrical equipment to your country. You can build a business out of electrical equipment exports to builders and retailers. You can help export and import companies investigate and audit trade. You need to know about all the compliance regulations and laws dealing with domestic and foreign trade agreements. Tech accessories are hugely popular almost everywhere. China, South Korea and Japan are the biggest exporters. You can tie up with any exporting company or directly export tech accessories from these countries. The demand for honey has seen a major rise after people are now looking for natural sugars than processed. Either you can cultivate beehives to produce honey and export, or import honey at a cheaper price to sell them in your country or state. Businesses involved in export-import business always have the risk of losing items during transportation. You can provide companies services that can reduce risk with cargo tracking. You can offer real-time location and tracking of the goods with safety and timely arrival of the cargo. There are manufacturers who only produce good workout merchandising them. You can partner with these sellers to help them pack, ship and resell the goods. You can also tie up with retailers to sell products in bulk. While many domestic companies want to join the exporting business, most of them have no idea how to manage it. You can partner with domestic sellers to help them find buyers outside and provide assistance to manage their overseas operations. You can offer warehousing distribution services to exporters and importers. The business deals with shipping and receiving products, and then supplying them to different warehouses of different companies. You just need to care about transportation and supply. An export-import business can be extremely given global economic fluctuations. You just need to plan it right and follow the market trends carefully!